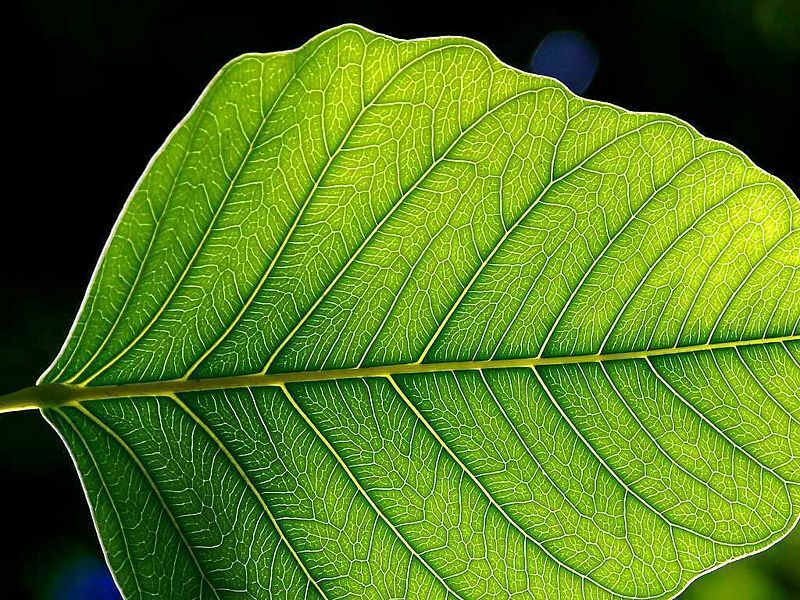 Photosynthesis is an energetic biochemical reaction that takes place inside plants. The purpose of photosynthesis is to create energy (in the form of carbohydrates) from luminous energy produced by the sun. Organisms that use the mechanism of photosynthesis are autotrophic, because they produce organic matter from inorganic matter. Solar energy is used to oxidise water and reduce carbon dioxide in order to synthesise organic substances (carbohydrates). This phenomenon takes place in chloroplasts, an organelle specific to plants, around the thylakoid membranes where photosystems I and II and cytochromes are located. It takes six molecules of carbon dioxide and six molecules of water to synthesise one molecule of glucose, releasing six molecules of dioxygen, with the help of luminous energy. Calvin cycle (dark phase) : 6 CO2 + chemical energy (24 H) → C6H12O6 + 6 H2O.